We are beginning our performance calender for 2014. Alas, with a number of other projects on the go at the moment - including the Readers Choice Awards - these will not be as detailed at this stage as normal. However, full details - including photos and videos - will be added shortly. Never let it be said that we would forget about the many, many thousands of you that find things of interest here each month. For putting up with our verbose ramblings alone, we must wish you a good and peaceful holiday and even better, Wagnerian, new year. Indeed, while 2013 may have been Wagner's bicentennial year we can assure you that 2014 has even more interesting things in store. But let us run-up to the end of this year with a special present: a rather remarkable remaster of the Felix Weingartner/ London Philharmonic Orchestra recording of Siegfried Idyll from 1938. To listen, click the player below and to download and keep follow the link. And should you not be familiar with Weingartner, a brief bio follows. Felix Weingartner (2 June 1863 – 7 May 1942) was born in Zara, Dalmatia, Austria–Hungary (now Zadar, Croatia), to Austrian parents. The family moved to Graz in 1868, and his father died later that year. He studied with Wilhelm Mayer (who published his own compositions under the pseudonym of W. A. Rémy and also taught Ferruccio Busoni). 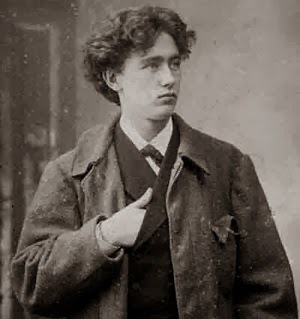 In 1881 he went to Leipzig to study philosophy, but soon devoted himself entirely to music, entering the Conservatory in 1883 and studying in Weimar as one of Franz Liszt's last pupils. Liszt helped produce the world premiere of Weingartner's opera Sakuntala in 1884 with theWeimar orchestra. According to Liszt biographer Alan Walker, however, the Weimar orchestra of the 1880s was far from its peak of a few decades earlier and the performance ended up poorly, with the orchestra going one way and the chorus another. Walker got this account from Weingartner's autobiography, published in Zürich and Leipzig in 1928-1929. The same year, 1884, he assumed the directorship of the Königsberg Opera. From 1885 to 1887 he was Kapellmeister in Danzig, then in Hamburg until 1889, and in Mannheim until 1891. Starting that year, he was Kapellmeister of the Royal Opera and conductor of symphony concerts in Berlin. He eventually resigned from the Opera post while continuing to conduct the symphony concerts, and then settled in Munich, where he incurred the enmity of pundits like Rudolf Louis and Ludwig Thuille. In 1902, at the Mainz Festival, Weingartner conducted all nine Beethoven symphonies. From 1908 to 1911 he was the principal conductor of theVienna Hofoper, succeeding Gustav Mahler; he retained the conductorship of the Vienna Philharmonic until 1927. From 1912 he was again Kapellmeister in Hamburg, but resigned in 1914 and went to Darmstadt as general music director while also often conducting in the U.S. for the Boston Opera Company between 1912-1914. In 1919-20, he was chief conductor of the Vienna Volksoper. In 1920, he became a professor at the Franz Liszt Academy in Budapest. From 1927 to 1934 he was music director of the Basel symphony orchestra. He made many outstanding Beethoven and Brahms symphony recordings in Vienna and London between the mid-1920s and his last recording session with the London Symphony, including an electrifying Brahms Second to complete the historic Beethoven-Brahms symphony cycle he began in the 1920s (see below), on February 29, 1940. He gave his last concert in London that year and died in Winterthur, Switzerland two years later. Weingartner was the first conductor to make commercial recordings of all nine Beethoven symphonies, and the second (to Leopold Stokowski in Philadelphia) to record all four Brahms symphonies. In 1935 he conducted the world premiere of Georges Bizet's long-lost Symphony in C. His crisp classical conducting style contrasted with the romantic approach of many of his contemporaries such as Wilhelm Furtwängler, whose conducting is now considered "subjective" on the basis of tempo fluctuations not called for in the printed scores; while Weingartner was more like Arturo Toscanini in insisting on playing as written. His 1935 recording of Beethoven's Symphony No. 9, for instance, sounds much more like Toscanini's 1936, 1938, 1939 & 1952 renditions (only the last of which was recorded in a studio rather than at a concert) than Furtwängler's far more expansive readings. He taught conducting to students as eminent as Paul Sacher, Charles Houdret, Georg Tintner and Josef Krips. He experimented with films of himself conducting (such as in his only recorded performance of Weber's overture to Der Freischütz) as a tool in "orchestral training". He was married five times, to Marie Juillerat (in 1891), Baroness Feodora von Dreifus (1903), mezzo-soprano Lucille Marcel (1912; died in 1921), actress Roxo Betty Kalisch (1922), and Carmen Studer (1931). Weingartner was early interested in the occult, astrology, and Eastern mysticism, which influenced his personal philosophy and his music to some extent. He was himself a prolific writer who published a poetical drama, Golgotha, in 1908. He wrote copiously on music drama, on conducting, on the symphony since Beethoven, on the symphonies of Beethoven, Schubert and Schumann as well as on art and esoteric subjects. As previously noted, the Jerusalem Symphony Orchestra, found that the only way it could note Wagner 200 in Israel was by not playing his work. 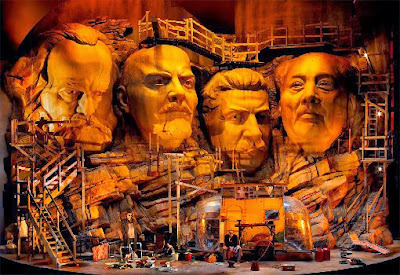 Instead they chose to stage a concert program named, "The Case: Wagner" During this, rather than Wagner, they looked at those thought to have influenced or been influenced him. This was accompanied with a conference entitled “Talking about Wagner” wherein there was an analysis of Wagner's writings, thoughts and music (if not performed) - all within the context of his times. 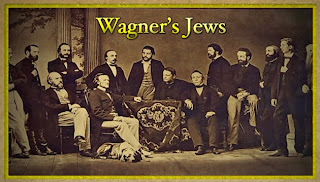 It then concluded by debating whether the boycott in Israel of Wagner's music should continue. As one might expect, anything do with Wagner draws controversy in Israel. This was represented by a peaceful protest outside of the venue by a small group of youthful protesters. However, less welcome in a democratic country such as Israel, was Ram Carmi, the owner of a Jerusalem music shop, who climbed the stage shouting, "Dachau, Auschwitz, Kapos" According to Haaretz he then proceeded to sing Israel’s national anthem and , threatened to fight anyone who might try to remove him. He responded to panel members trying to calm him by accusing them of being Nazi sympathisers. He told Yair Stern, CEO of the Jerusalem Symphony Orchestra, "You defile the memory of your father, who was murdered so I could speak here today"
He was eventually removed by the police. Alas, very little information at the moment apart from that below. 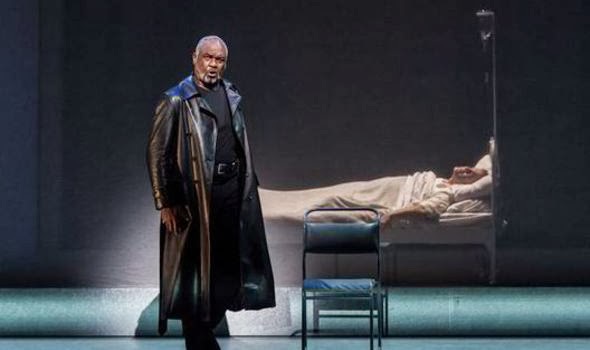 Lyric Opera of Chicago will present its second new production of Richard Wagner’s massive “Ring” cycle in one or more future seasons, the company said on Friday. It will announce details and unveil its creative team and key cast members at a press announcement Jan. 17. 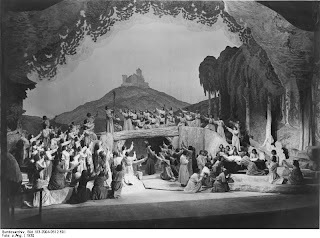 Perhaps the most famous kiss in opera, when the temptress witch Kundry seduces the know-nothing hero of Richard Wagner's "Parsifal", went off without a hitch in a close-up shot for a global live transmission from the Royal Opera House in London. "Where is the follow spot?" exasperated live transmission director Jonathan Haswell, monitoring the outgoing feed in a studio deep in the bowels of the opera house, grumbled to his small crew hunched over vision mixers and a "Parsifal" score. 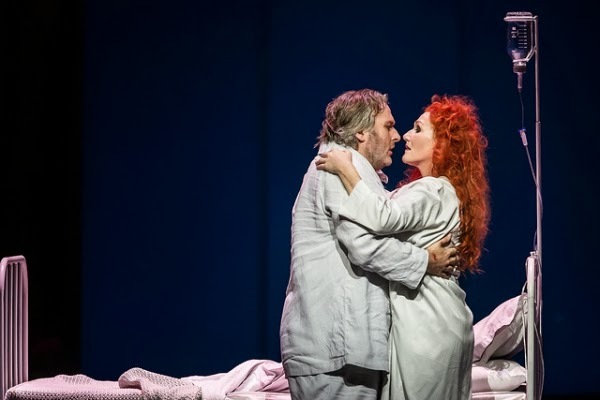 Spotlights above the stage had failed to come on instantly to track New Zealand-born tenor Simon O'Neill and German soprano Angela Denoke disengaging from one another. 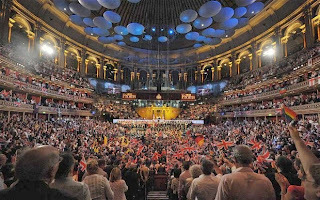 They flicked on within seconds and it is unlikely that many in the Covent Garden audience earlier this month, or in the cinemas in 28 countries where the Royal Opera screened the transmission, noticed much, if anything, amiss. But the incident showed the intensity of the effort behind the scenes to bring live performances to audiences in cinemas where the camera reveals intimate details - and snags - invisible even from the best opera house seats. 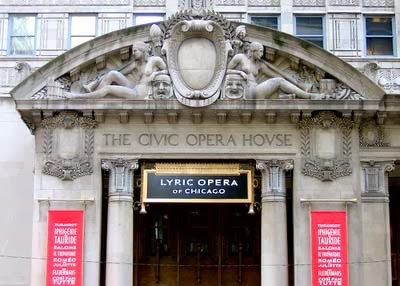 It underscored what Peter Gelb, general manager of the Metropolitan Opera in New York and acknowledged global guru of live opera broadcasts, has called their "reality show" allure. "There is this cultural kind of gladiatorial aspect to opera singing and opera singers because they are out there, they are singing into (hidden) microphones for the purpose of the audiences in movie theatres but they are not being amplified, they are on their own," Gelb, 60, told Reuters in a telephone interview. 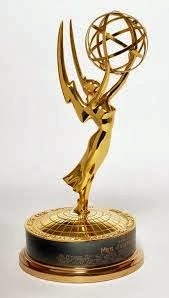 Most awards in the arts are provided by experts and critics in that field. Alas, few, if any, rely on the opinions of those that listen to and attend performances - the odd "listeners/readers" choice winner aside. However, we are more than aware of our many readers expertise in the area of Wagner performances, recordings, artist, books, etc. We thus present the first annual "The Wagnerian Readers Choice Awards" dedicated to those that have "shone" in some part of the "Wagnerian world"
With this in mind, we recently asked readers on both Twitter and Facebook, to nominate performers for the categories of both Male & Female Wagner Artists Of 2013 - those performers of whom readers felt merited special attention for their work in 2013. The aim of this was to then enter these to a readers poll made available to all readers. The responses were many and various and left us with so many artists that we felt asking readers to select one in the final poll was somewhat unfair. With this in mind, we now ask all readers to take just one minute to complete the following poll, selecting at the most six of the various artists initially put forward. Those 6 with the greatest number of votes will then enter the final poll to begin shortly - most likely now in January. Care of BBC Radio 3. Click the link below to listen. Richard Wagner's relationship with the Jews is a tortuous saga, but few of its manifestations are as obscure as the affair of the Dresden lamp. 'You see dear Herr Professor how you truly bring me luck; for I have to my astonished joy the drawing by Semper. I am returning you his letter, as an autograph of S(emper) is always of value. I note also Noske and Meyer, but imagine that this firm must be in Dresden (not in Zurich which for the Dresden Synagogue in those days can hardly have been in its compass (wohl gar nicht existierte) ). Dare I pester you further? I cannot send a letter to Meyer and Noske over my name, or dated from Lucerne, as I would run thereby the risk of my Jewish order appearing in the press. Would you have the great kindness to forward the enclosed letter (which I have had my governess write and sign) and arrange the enquiry in your name, or else forward it and enclose your address? I ask a thousand apologies. I think it would also be right to send Semper a couple of words of thanks for his friendly dispatch of the drawing'. The next we hear of this matter is in Cosima's diary entries in May. On 24th May, Cosima goes 'to the jeweller, who has been to see Semper; the latter received him at first hostilely, but then gradually gave some explanations'. And on 25th May 'I write to Pusinelli about the hanging lamp'. 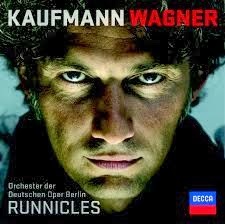 Pusinelli had been Wagner's doctor in Dresden and continued to act as factotum in various matters for Wagner and over the years. Then nothing, unless the unamplified diary entries of May and early June representing concern about delay in correspondence from Pusinelli, and later a response from him, relate to this matter. Finally we read, on September 4th, 'At 4 o'clock the christening takes place. Helferich Siegfried Richard Wagner behaves passably well. Merry gathering afterward. Semper's hanging lamp is inaugurated'. What does this all mean? We are clearly missing, (at least), a letter from Cosima to Nietzsche, asking him to approach Semper about without revealing her name; at least one letter from Nietzsche to Semper; the letters from Nietzsche to Cosima preceding and following her letter of 27th January, the latter either accepting or demurring the tasks laid on him (Cosima is known to have destroyed all of Nietzsche's letters to her); correspondence between Cosima and Pusinelli; and the various arrangements made between Cosima and the local goldsmith who recreated the object. 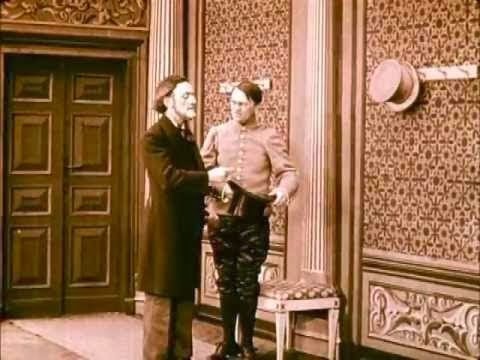 A careful survey of the above does however reveal that the interpretation of Joachim Koehler, in his book 'Nietzsche and Wagner', that this episode was a prime example of Wagner's capricious desire for valuable knick-knacks, is wide of the mark. Cosima obviously went out of her way to arrange the lamp as a present for Richard. But all this begs several questions. What was the lamp? Why did Cosima want it for Richard? Why didn't she approach Semper directly? Why was Nietzsche willing to do her dirty work (at least initially)? Why did she write to Pusinelli about it? What is the meaning of inaugurating the lamp at Siegfried Wagner's christening? Where are the lamps - the original and the copy - today? 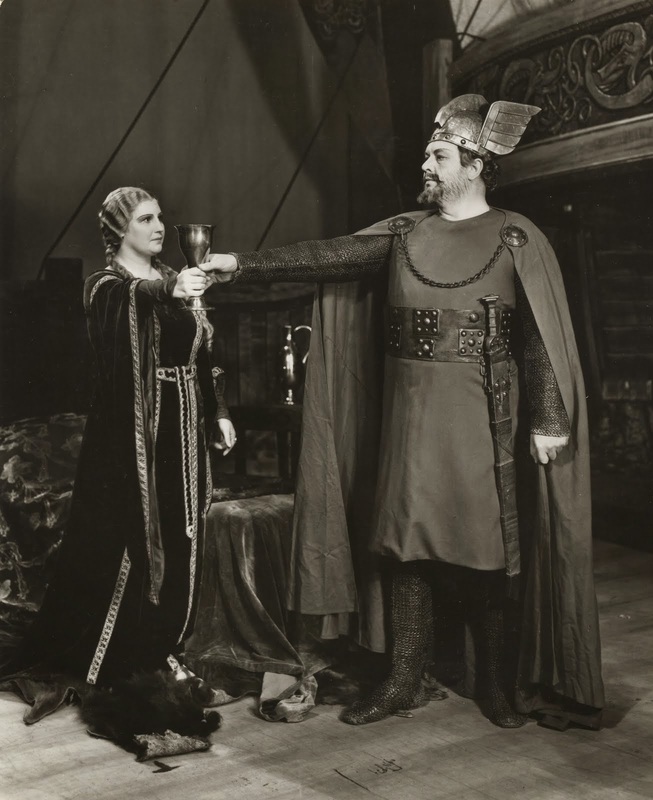 "Brunhilde's Act" Or Wagner Dear? Was it as difficult for you as it was for me? Deputy Editor, Frederick Oswald, introduces a talk - and accompanying paper - by the " Elvis of cultural theory", Slavoj Žižek. Socialists, Communists and Marxists, especially, come in two, admittedly broad, flavours: those that do and those that talk. Slavoj Žižek, is a talker, endlessly sometimes. But in his defence he is both an undergraduate and graduate lecturer and that is their job after all. He is also a "populist", of Marxist theory (although critical of some of its thought, on ideology especially), or at least a mix of Marx, Hegelian" and Lacanian thought . Now, we must accept, whether you want to or not, the arguable fact, that most Marxist intellectuals, of the academic variety at least, are, sadly, rather boring. Inflating their prose with the sort of obtuse sentences (often without commas or even enough fullstops) that would make even Hegel blush. And goodness forbid (being a Marxist discussion I shall keep "god" out of it for a moment), they might accept any validity in "popular culture", never mind refer to it in an agreeable light. Not so, Žižek.What Marxist cultural theorist for example would begin a two and half hour documentary on ideology (The Perverts Guide To Ideology) using John Carpenters 1988 cult classic "They Live"? And then later turn to "The Sound Of Music (you will never hear “Climb Ev’ry Mountain” in quite the same light again.). All of this tends to make him "popular with the kids" A sort of 21st century, Marxist version of Robert Anton Wilson, but with tenure. Also, Zizek, oddly like many Marxists (apart from Marx), is a Wagnerian. 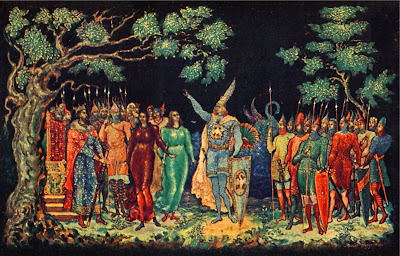 Anyway, with that brief introduction out of the way, let me introduce his 60 page paper, "Brunhilde's Act: Or, why was it so difficult for Wagner to find a proper ending for his Twilight of the Gods?" Or should you not have the time, his 2 hour talk based upon that paper given at the Howard Assembly Room, in Leeds back in 2009. This is in video format. Apart from the PDF download - and the online version - the formating is not perfect. However, as an epub or kindle file it remains readable. But whatever format you chose it is recommended that you read these. Richard Wagner's letters to his Dresden friends, Theodor Uhlig, Wilhelm Fischer, and Ferdinand Heine. A short mini documentary from DW that tours the places (if only those in Germany) that would have helped shape Wagner and his music. A boxset from Arthaus Musik earlier this year - details below. We might not normally mention it apart from the fact that Amazon (Other retailers may also apply - even those that may pay their taxes) is presently offering the entire set for only £20! ($53) Full details below. 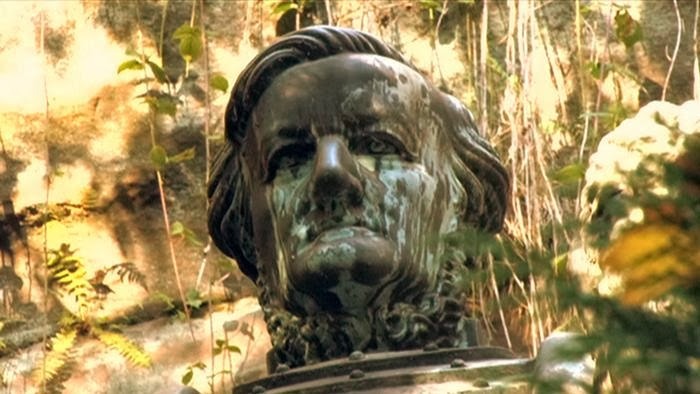 This weekend, BBC Radio 3 is having a "Wagner Weekend" consisting of a series of programs, unsurprisingly, with a Wagner theme. Details below. Below, can be found an introduction and each of these seven lectures. Recommended, as indeed is a visit to the Freud Museum should you find yourself in London. Freud once asserted that his intention was to re-interpret myths and stories as products of the inner world, and thus ‘transform metaphysics into metapsychology’. But had Wagner got there before him? 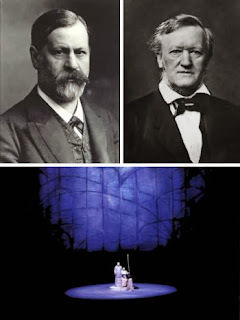 By taking the mythic dimension and bringing it into the human realm, Wagner anticipated Freud in his depiction of unconscious processes of the mind, while Freud’s ‘science of the unconscious’ gives unprecedented insights into Wagner's monumental achievements. This conference is a result of the conviction that, like Freud, “Wagner was grappling ... with fundamental psychosexual issues that affect us all” (Barry Millington, 2013) and that a fruitful dialogue can exist between their two bodies of work. Baritone Paul Carey-Jones, who was magnificent in Abdendlich strahlt der Sonne Auge from Das Rheingold, and whose Ja - Wehe! from Parsifal shared intense, painful grief with the audience." Also highly commended by the judges were baritone Rhys Jenkins - powerful and mature - and the ringing heldentenor Jonathan Stoughton. 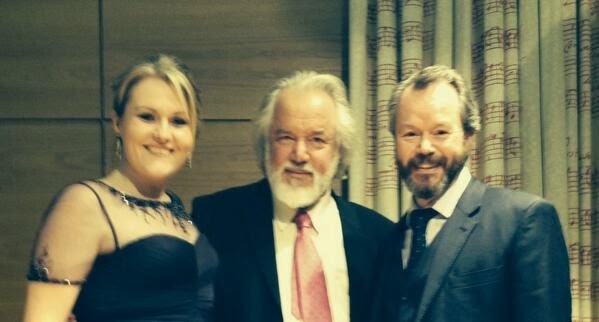 The audience prize was won by soprano Victoria Stanyon. 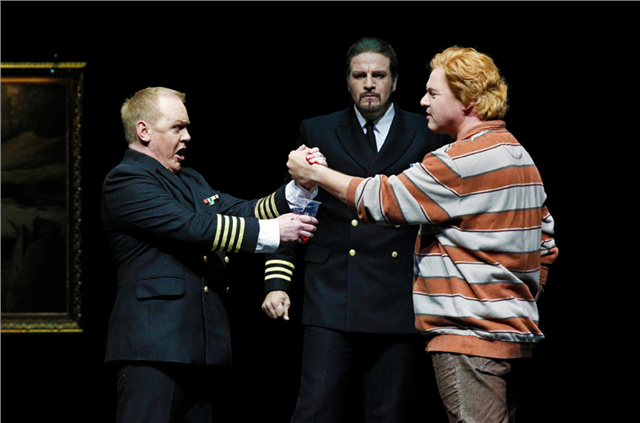 The winners will receive, either specialised coaching for a Wagner role or coaching in the German language. This prize is very different to that of the previous Wagner Bursary Competition, where winners of the Stipendienstiftung would have received: a visit to four performances at Bayreuth,entry to events of the International Wagner Society, scholarship holder meetings, and other events that might have given them the opportunity to get their "faces known" around the Greenhill and recruiting artists. The entry requirements were also different to the new competition and in the words of the Society, "The upper age limit (was) raised from 35 to 40. Under 35, it is not always possible to tell whether a singer's voice will develop to Wagnerian proportions, and this year’s competition demonstrated that the years between 35 and 40 are when a Wagner voice begins to mature - the sound quality was quite different from that often heard from younger contestants.". The judges consisted of: Sir John Tomlinson, Elaine Padmore and Keith Warner. We recently reported the blight of Dalhalla Opera, whose productions, including a continuation of their Ring cycle, would not be able to continue in 2014 after owners of the Dalhalla venue informed them that they had decided to rent their allotted time to other "artists". We also noted at that time, that Dalhalla Opera had responded, noting that it would impact upon hundreds of artists already committed to the event. At the time we explained that Dalhalla Opera's time was to be given over to two other events:: a festival of former Eurovision Song Contest Runners-up and the "iconic" 60's psychedelic "rockers" Pink Floyd. Rare Screening "The Life and Works of Richard Wagner" Jan 2014. Barbican. This newly restored silent landmark was the first feature-length film to be made about the composer Richard Wagner, featuring Italian composer Giuseppe Becce in the title role, together with Olga Engl and Miriam Horwitz, and produced by Oskar Messter in Berlin in 1913. This rare screening is presented for the first time at the Barbican with an original piano score, composed and performed by Jean Hasse, which combines extracts from Bach, Bellini, Liszt, Wagner and Hasse herself, among others. Original score commissioned by the Barbican. Newly restored print with English surtitles. Restored by EYE and from the EYE/Desmet Collection. 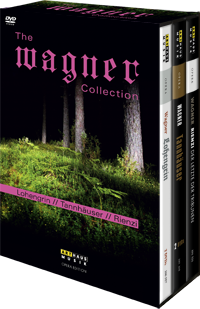 In association with Wagner 200. 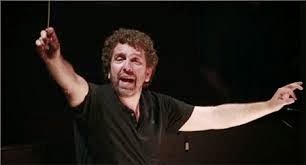 In a revealing article in Limelight Magazine, Asher Fisch discusses both Wagner and the time that he (Fisch), spent with Barenboim in some detail. "Daniel taught me everything I know" he says. However, he suggests, that although he has never told him, he feels that the manner in which Barenboim broke the boycott of Wagner's music in Israel, as an encore in 2001, was a mistake and may have caused more harm than he could have imagined. This is not because Fisch believes that Wagner should not be played in Israel, far from it, as he wishes to do so himself one day. However, Fisch says, "Daniel made a huge mistake in my opinion when he tried to break the ban with a German orchestra. I was there and it was excruciating. It was really difficult to see an orchestra being driven into this situation. He was going to play the Tristan Prelude as an encore, and when he rehearsed it the cor anglais player played a wrong note on the Tristan chord. 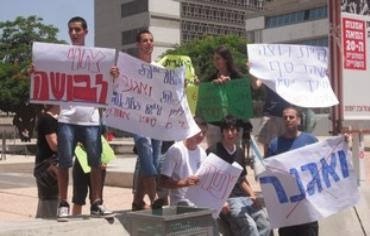 He stood up and said: “this is my way to protest you trying to make us play Wagner in Israel”. And he was absolutely right. 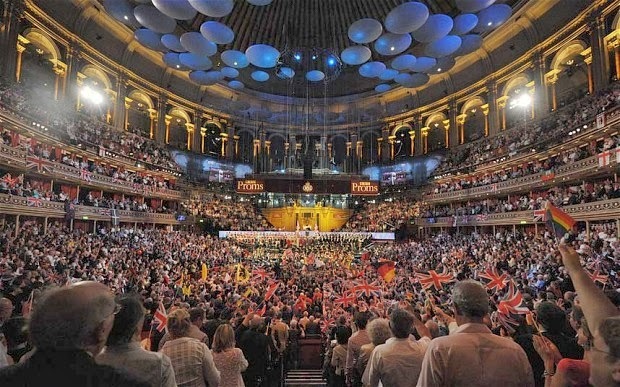 In the evening, when Daniel started to talk to the audience, the orchestra was sitting there and all they could hear is, “whisper, whisper... Nazi... whisper whisper... Hitler...” – can you imagine what they were going through? It was simply a mistake. He concludes, "I never told him this but I think he made it go backwards a little bit. He made the controversy more political than it was before. I think had he not done this in 2001 we would have had better chances. But the ban went in the wrong direction for the wrong reasons"
Parsifal, Royal Opera House December 2013. A HD presentation will be broadcast to cinemas worldwide on December 18. To find a cinema near you visit: PARSIFAL - HD (Just type in your location in the search box). 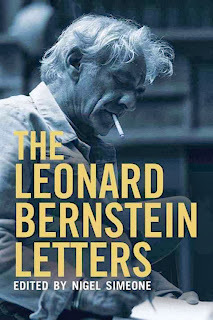 The recently published, The Leonard Bernstein Letters are fascinating. If you have not bought this extraordinary historical record we can only recommend you go out and do so - whether a Bernstein "fan" or not. This fascination is greatly added to in that included is not only those letters from Bernstein but also those to him from some of the most famous names of the 20th century classical music world. You may think very differently about not only Bernstein but a number of other people afterwards. For us of course, of greatest interest are those letters from or to Bernstein that revolve around Wagner or those "associated" with him. We could review the book, but how do you review personal correspondence? Ok, that won't stop anyone but we feel the best way to "review" this book is to look at some of the letters themselves. So with this in mind we reprint a few, very, short extracts below. And so "classical" music takes another hit as Dalhalla Opera is told that booking time that was to go to their opera productions - including a continuation of their Ring cycle begun last year - has, at the last minute, now been allocated to other musical artists. For those not aware, no doubt a few people, Dallalla is an amphitheatre in a disused quarry in Sweden. And who might we ask could possibly be given greater priority than Wagner or Das Ring Der Nibelungen? Would you believe geriatric "trance-rockers" Pink Floyd (Ed: are they still alive?) once more, playing "hits " from their student/stoner classic "Dark Side Of The Moon". Other dates have been given to a festival called "Diggiloo". This (Swedish readers may have to correct us) seems to be made up of Eurovision Song Contest runners-up. Perhaps, for those involved in the debate between art and pop music its time to take some action, or at the very least: "start making your mind up, up, up" (Ed: Really? Bucks Fizz references? Here?) Or has the "paying public" already done so? Comment: Australia's Only Classical Music Magazine Bows Out? Its a sad fact that we are at a time when large publishing interests - there are not that many of them - continue to eat away at their arts coverage. Whether that be arts columns in newspapers, in their online presence or in some places ceasing publication of specialist arts magazines altogether. And where this coverage remains, it becomes so puerile, on occasion, that it hardly seems worthy of the title "arts coverage". Take for example the Guardian's ongoing series in its "culture" section that describes Tannhauser as, "An early opera that has corking tunes and a very silly plot. 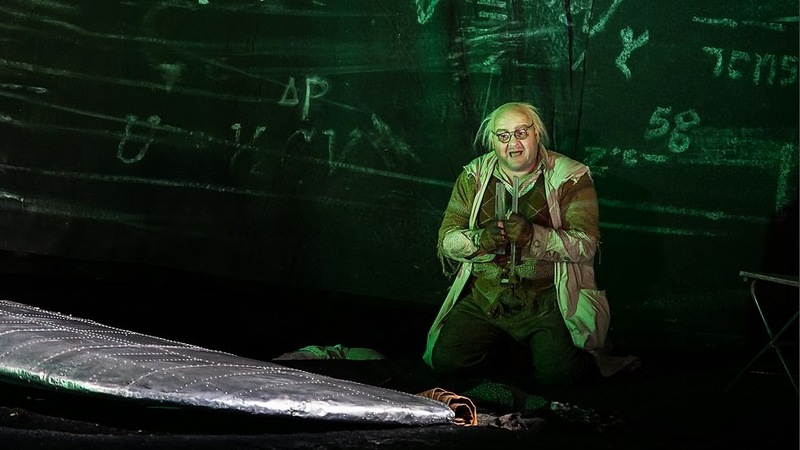 Staged with tongue firmly in the cheek, it can be magnificent" Or what about, "S is also for Siegfried, Siegmund and Sieglinde, key characters in the Ring and rather too intimately related for their own genetic good". Or perhaps, "Some have argued that Wagner's villains (sic)– Beckmesser in Meistersinger, Alberich and Mime in the Ring – are representations of Jewishness (Ed:One assumes they mean negative Jewish stereotypes?). The contention is hard to prove either way, which is fortunate for Wagnerians or these works would truly be tainted" (As tainted as Dicken's Oliver? Or Shakespeare's Merchant of Venice? Or George Orwell? Or Winston Churchill? Or ...). But lets not single out the Guardian. Lets look at the following from the Telegraph, "Vegetable lover: (Wagner) became convinced that eating meat instead of vegetables corrupted the blood, and refuse (sic)to touch meat again". Or what about the Independant which said...Oh! Hang on! Sorry, I forgot they fired most of their arts critics so the Sindy isn't saying much about Wagner at all nowadays. I could go on, but I think you get the picture. Award winning publication, and Australia's only classical music magazine, faces an uncertain future. Limelight magazine is currently under threat of closure after its publisher Haymarket Media has chosen to wind up its operations in Australia.Limelight is now in search of a buyer to take over the award-winning classical music magazine and website. The decision came after Haymarket Media announced that they would cease to publish in Australia and were selling or licensing their brands to local publishers. 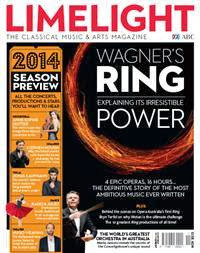 Haymarket Media have been publishing Limelightmagazine under licence from the ABC since 2006. “With the Haymarket Media Group (Ed: publisher of, believe it or not, Windpower Monthly ) internationally focusing on its chosen sectors, and the recent expansion in Singapore, we saw this as an ideal time for our Australian brands to go to local publishers that will invest to ensure their long-term future," said Jeremy Vaughan, Haymarket Media’s Managing Director. Haymarket Media is still soliciting expressions of interest in Limelight until it closes its Australia offices on December 13. Männerlist was Wagner's last operatic project before he embarked on Rienzi. 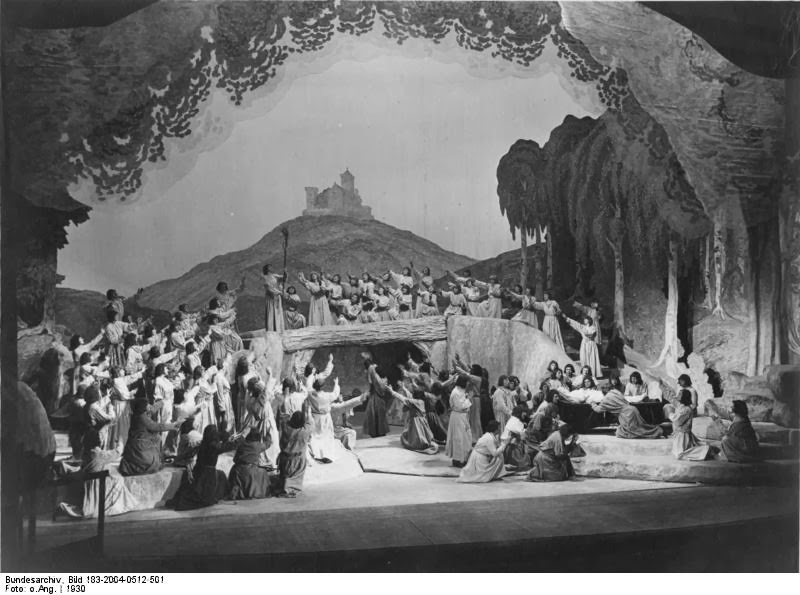 Although the book of the opera (which Wagner as usual wrote himself) has long been available, the full text (including dialogue) and three completed musical numbers (in piano score), were discovered in a private collection in 1994 and later acquired by the archives of the Richard-Wagner-Stiftung in Bayreuth. Wagner refers to this project in his "Red Pocketbook" and his autobiographical works A communication to my friends (1851) and My life 1870-1880). In the latter he describes the work as "in a light neo-French style," which he began to write in Königsberg, but that later when he took it up in Riga for completion, "I was overtaken by utter disgust at this kind of writing." 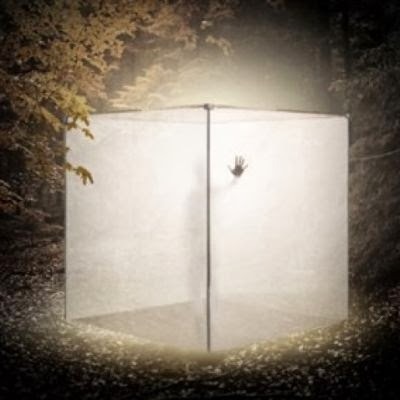 Then, early this year, Germany's Pocket Opera Company, produced the work "complete" for the first time - orchestrating - and "building-upon" - the three existing musical fragments. This performance will shortly be available on DVD - see link below. Another in our series of good Wagner books you may have missed - suitable for both the "educated reader" (whatever that might mean) and for academic researchers. As always, we try to provide a decent sized preview to allow you to make-up your own mind rather than a review. However, this is a good, solid and entertaining read - and being available for only £17 (having been reprinted in paperback this year) now helps increase our recommendation. Indeed, would also, recommend about anything by Vazsony. His "Richard Wagner: Self-Promotion and the Making of a Brand" is a shockingly under mentioned book in Wagner studies. A review of this will follow later. Richard Wagner's Die Meistersinger von Nurnberg has been one of the most performed operas ever since its premiere in 1868. It was adopted as Germany's national opera ("Nationaloper"), not least because of its historical coincidence with the unification of Germany under Bismarck in 1871. The first section of this volume, "Performing Meistersinger," contains three commissioned articles from internationally respected artists - a conductor (Peter Schneider), a stage director (Harry Kupfer) and a singer (Dietrich Fischer-Dieskau), all experienced in the performance of this unusually demanding 5-hour work. 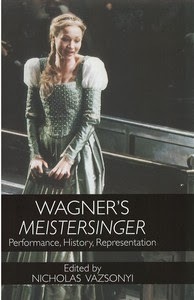 The second section, "Meistersinger and History," examines both the representation of German history in the opera and the way the opera has functioned in history through political appropriation and staging practice. The third section, "Representations," is the most eclectic, exploring in the first place the problematic question of genre from the perspective of a theatrical historian. 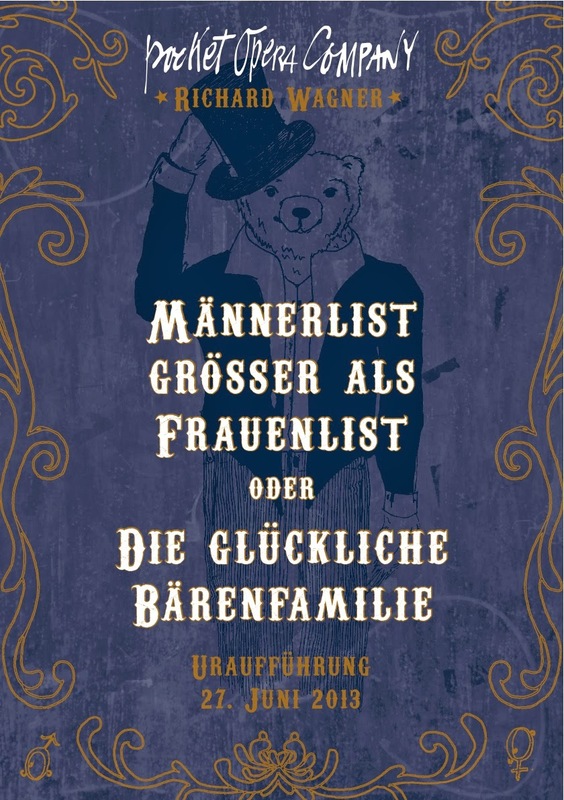 The chronic issue of Wagner's chief opponent, Eduard Hanslick, and his musical and dramatic representation in the opera as Beckmesser, is then addressed, as are gender issues, and Wagner's own utterances concerning the opera. 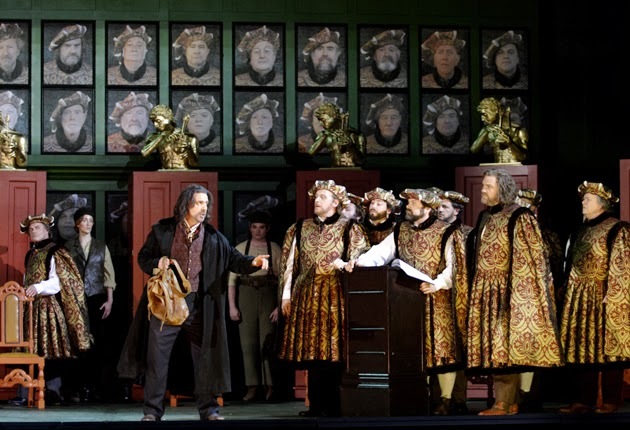 The music and culture of the sixteenth century Meistersinger is the central topic of Richard Wagner’s Die Meistersinger von Nürnberg, his only operatic comedy. Wagner turned to Johann Christoph Wagenseil’s Von der Meister-Singer Holdseligen Kunst for information on the customs of the Meistersinger, and many scenarios within the opera are based on information from this treatise. 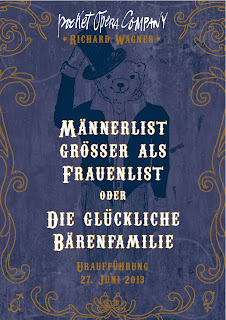 The inclusion of the famous historical Meistersinger Hans Sachs as a central character further strengthened the drama’s connection with the historical guild. The use of distinct set pieces, a seeming departure from the endliche Melodie of earlier operas, also helped Wagner create an air of authenticity within the music of Die Meistersinger. In contrast to Walther’s pieces, influenced by Wagner’s compositional technique and only loosely invoking the traditions of sixteenth-century Meitergesang, Beckmesser’s songs reveal many similarities with their historical models. As much as Die Meistersinger invokes the sixteenth century, Wagner does not present an accurate musical depiction of Meistergesang in this work. Though Hans Sachs and his role as a Meistersinger is an important element in his drama, Wagner only superficially observed the form and style of historical Meistergesang. 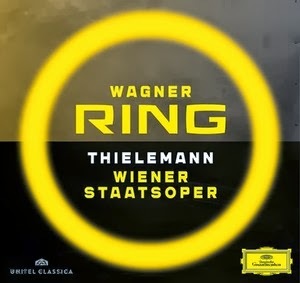 None of Walther’s songs, including Fanget an!, Am stillen Herd, or his Prize song, which wins him the admiration of both the masters and the people, completely satisfies the rules set down by Wagenseil. The character of Sachs, in fact, sings no Meisterlied at all. A comparison of Sachs’ Morgenweise and Silberweise with Wagner’s drama reveals that it is actually in the music of Beckmesser, the pedantic, rule-bound antagonist, that Wagner comes closest to the musical traditions of the sixteenth century. 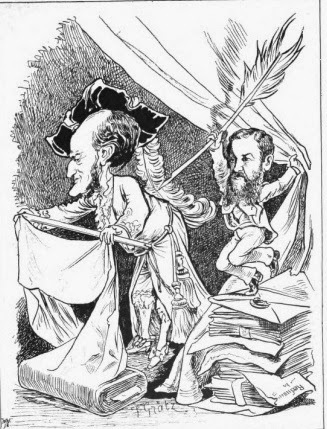 Given the historical setting of the opera and the emphasis the libretto places on rules and traditions, this paper sets out to examine how these three characters are musically portrayed, the degree to which they deviate from traditional Meistergesang, and what this reveals about Wagner’s ideas on artistic genius and musical composition. 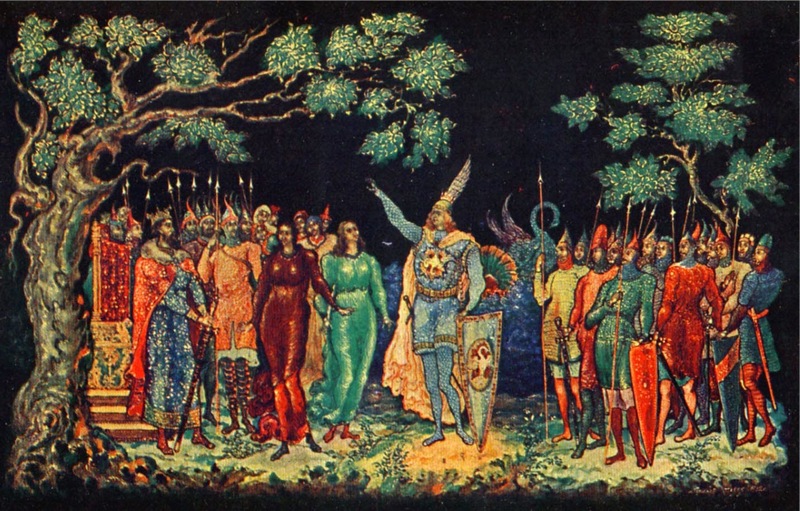 The operas of Richard Wagner (1813-1883) exist in a world of fantasy, populated by mythic knights, gods and goddesses, and depictions of heaven and hell. The exception is Die Meistersinger von Nürnberg (1867). Foregoing the world of myth, Wagner transports the audience back to sixteenth-century Nürnberg, where the city is led by the Meistersingers and, in particular, Hans Sachs. Though still writing in a nineteenthcentury style, Wagner went to great lengths to integrate the actual practices and compositional rules of the Meistersingers into his opera. 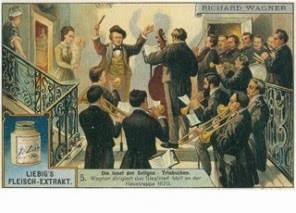 This attempt at historical accuracy allows for an exploration of the musical correspondences between historical Meistergesangand Wagner’s own depiction of the genre. 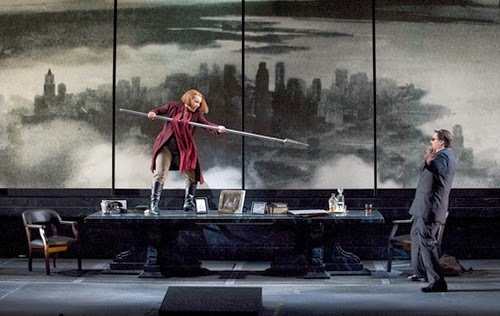 By comparing Silberweise and Morgenweise, two pieces written by the historical Hans Sachs, to the Meistergesang within Wagner’s opera, it becomes clear that Wagner’s most accurate representations of Meistergesangare sung by Beckmesser, the antagonistic marker. Why then, if the opera purportedly promotes rules and the maintenance of tradition, are Sachs and Walther the heroes? Though this contradiction may seem a hypocrisy, this essay will show that the depiction of Meistergesang in Die Meistersinger von Nürnberg, while incorporating nineteenth-century compositional methods, expresses Wagner’s belief that musical innovation must be based on tradition. poetic practices were much more confined to their own social group. Wagner was not the first to take creative liberties with the cultural and political role of the Meistersingers. The study of Meistersingerswas popular at the beginning of the century, resulting in several studies and narratives through which Wagner became acquainted with the medieval tradition. Mendelssohn Hero or Has Been? Or Did Wagner Really Do It? 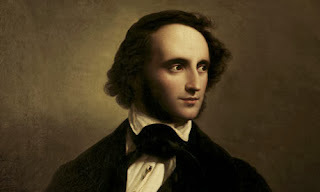 Our editor, finds a fascinating paper on the very different reception to Mendelssohn 's music in England and Germany. However, proceeds this with a long introduction that can be happily ignored. 50 years ago, on 21 November 1963, the Bayerische Staatsoper’s main performance venue, the Munich National Theatre, which had been destroyed in the Second World War, opened its restored doors with the premiere of "Die Frau ohne Schatten". 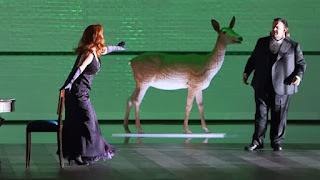 In 2013, the Bayerische Staatsoper has once again been starting off the season's new productions with this work by Richard Strauss. Kirill Petrenko has been directing the Bayerisches Staatsorchester for the first time in his function as General Music Director of the Bayerische Staatsoper. Video: Panel Discussion Following Hilan Warshaw's "Wagner's Jews"
Richard Wagner On His Desire For Perfumes,Silk, Colours & Snuff.